That promise was hidden in a blog post outlining the road to Cortana, Microsoft’s digital assistant, that is at the heart of its Windows Phone 8.1 experience and is slowly moving to Windows 10. 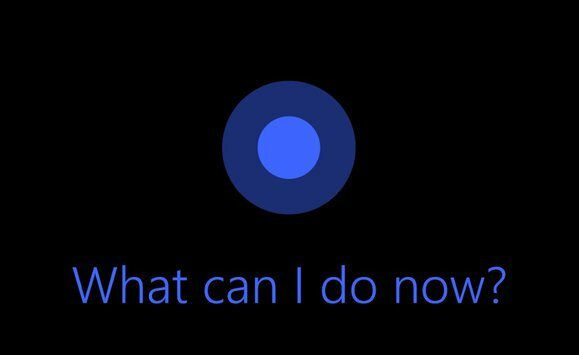 As Microsoft's Windows interface evolves, Cortana will begin to replace general search functions, stepping in when users search for a particular file. The assistant already serves as a user interface of sorts for setting reminders and asking fact-based questions, competing with Google’s Google Now and Apple’s Siri—the assistants on those respective platforms. Why this matters: There’s nothing preventing users from storing MP3 files in OneDrive, Dropbox, or any other cloud storage. But accessing them usually means clicking a single file and/or downloading it once again. Google allows you to store your own MP3s in the cloud; Apple also “matches” songs you’ve ripped in iTunes. Adding this capability would help Microsoft catch up to the other services. What Ash seems to be saying, however, is that a family will be able to share songs, much in the same way that a family can share games on an Xbox One. Sure, you can maintain a communal server of music that anybody with the right password can tap into. And let’s face it: Doing a quick copy of your sister’s MP3 collection takes a few minutes. But it’s still a convenience that rival services don’t offer.